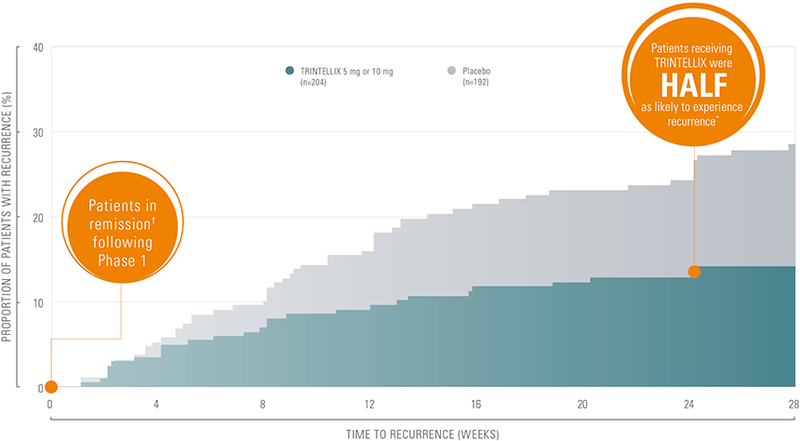 ARE YOUR PATIENTS STRUGGLING WITH THE OVERALL SYMPTOMS OF MDD? 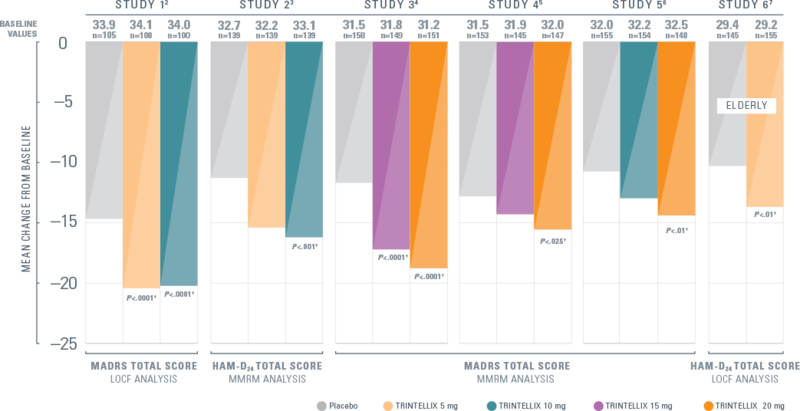 The effects observed on DSST may reflect improvement in depression. 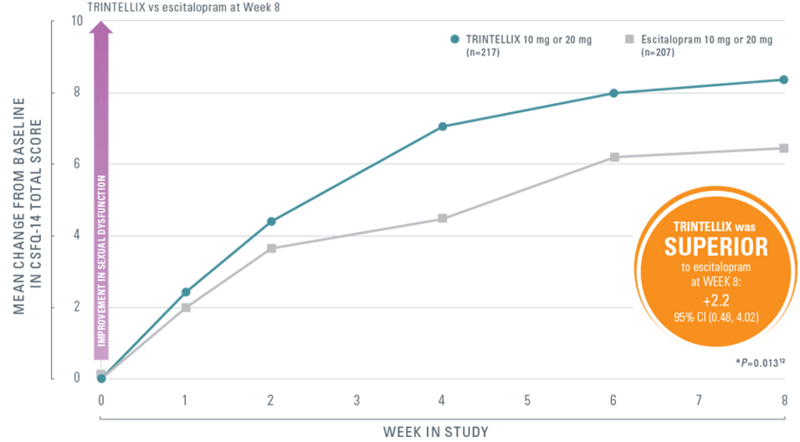 Results were based on an 8-week, head-to-head, randomized, double-blind study comparing TRINTELLIX (n=225) with escitalopram (n=222) in patients with well-treated MDD experiencing SSRI-induced sexual dysfunction as measured by the CSFQ-141,12. 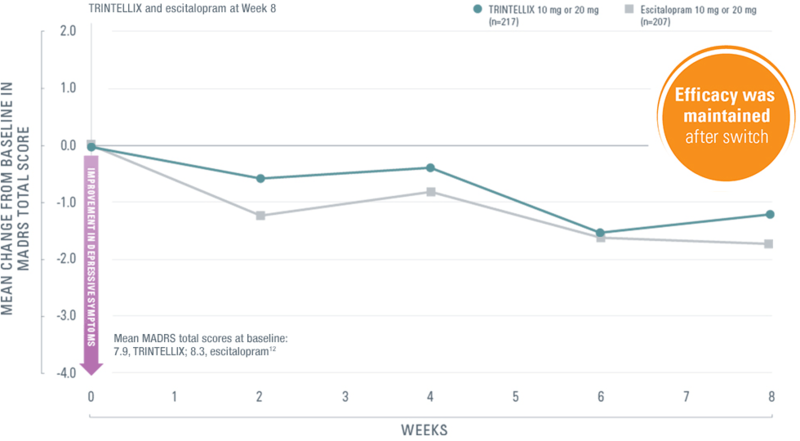 Patients were switched from citalopram, paroxetine, or sertraline to either TRINTELLIX or escitalopram (both groups started on 10 mg once daily, then increased to 20 mg at Week 1, followed by flexible dosing). 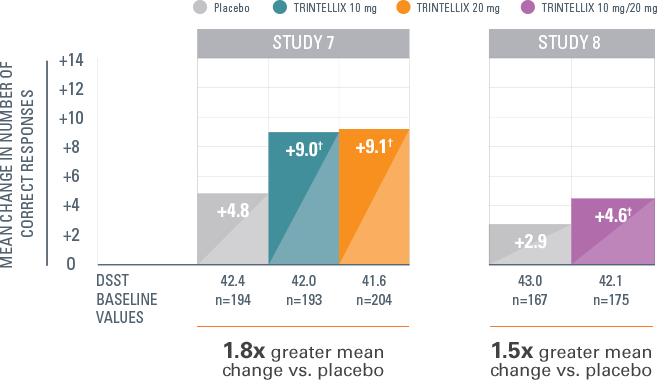 Click here for more detailed information on Sexual Dysfunction Data with TRINTELLIX.